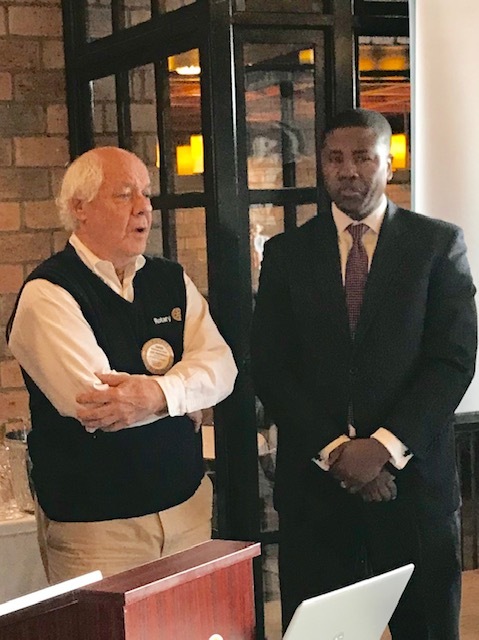 Ernest Lamour joins Ridgewood AM Rotary | Rotary Club of Ridgewood A.M.
Ridgewood AM Rotary is delighted and honored to have Ernest Lamour the CEO of Ridgewood YMCA join our chapter. Ernest and his family live in Hawthorne and we thank him for all he does for our community! Chris Stout (Ernest's sponsor) is an active member and participant at Ridgewood YMCA and encourages all of us to take advantage of their programs!